This year was the first year we attempted to do an Advent Calendar Giveaway event. We had over 50 winners including the winners from the Mega Giveaway at the end. We are still shipping prizes and emailing codes to the winners, and we never expected it to turn into something as big and wonderful as it did. 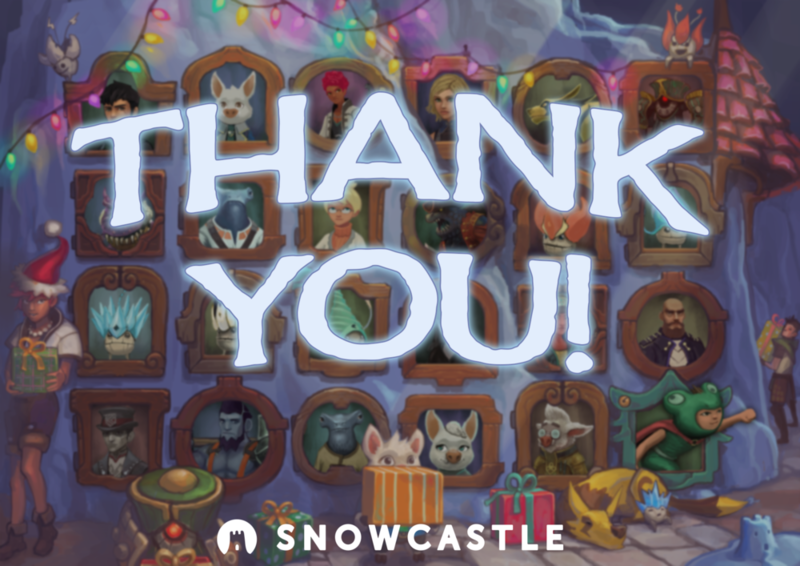 At Snowcastle, we wanted to say thank you to everyone that participated, and a special shout out to all of our developer friends that willingly offered up their games as a prize each day. We are lucky and happy to have such an enthusiastic and warm community that surrounds us. Also, we will be continuing this as a yearly project, and improving it!